The new Xbox dashboard layout is sleeker, snappier, and just a little bit quicker than its predecessor. It displays only the most necessary options. However, it makes easier to find what you are looking for, jump across the sections. An enhanced Bing search engine is integrated to the new Xbox. Versus to the search engine in the old Xbox dashboard, the new comprehensive search technology does not just search within games, music, video marketplaces independently, but it searches everything simultaneously, even online applications. Customized search is also available by title, director, actor and genre. This is one of the best features in the new Xbox dashboard. Another advantage of the new dashboard is that Xbox Live profiles are now universally accessible from the cloud. This means that whatever you have created in your Xbox while being offline, such as saving the games and other data, will be right there kept in the cloud. These are the least, but not last advantages of Xbox. More you can experience once upgrading your old console. 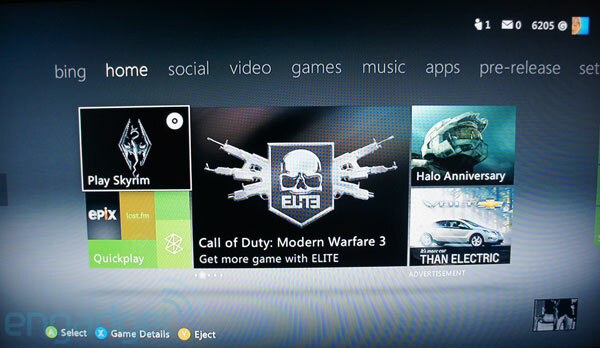 Enjoy using the new features of Xbox dashboard.